Be one step ahead of your competition by offering your customer's preferred payment method. 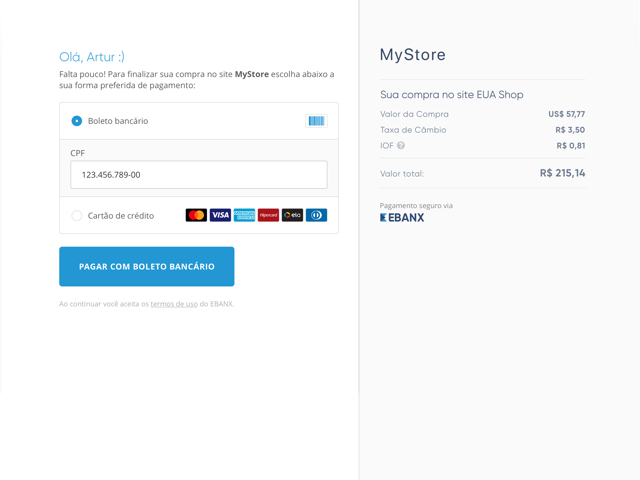 EBANX payment provider for Shopify allows merchants from all around the world to accept the most used payment methods in Latin America. Start now to increase your cross-border sales and get higher approval rates. 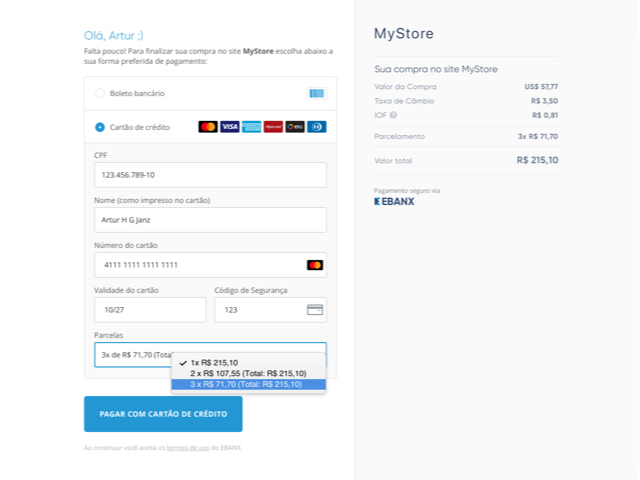 While in checkout, your customer is able to choose between paying with Boleto Bancário or Credit Card. 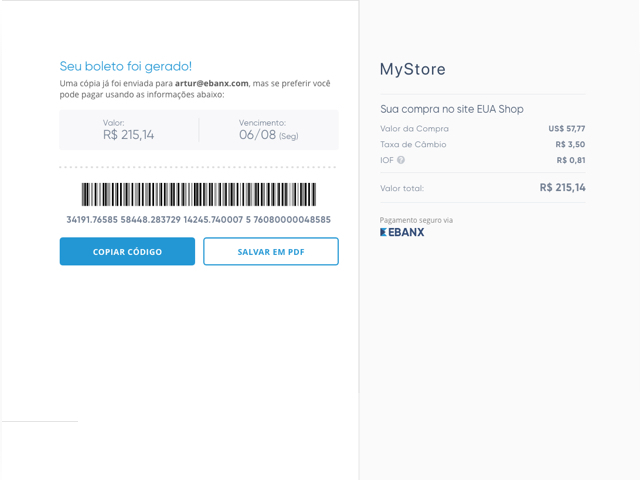 If your customer chooses to pay with Boleto, a voucher with a barcode is generated to either print, copy the barcode number or scan it with their phone. When using Credit Card, your customer is able to choose installments as their payment method. A chargeback-free alternative payment method. The perfect interest-free solution for you to increase your conversions.